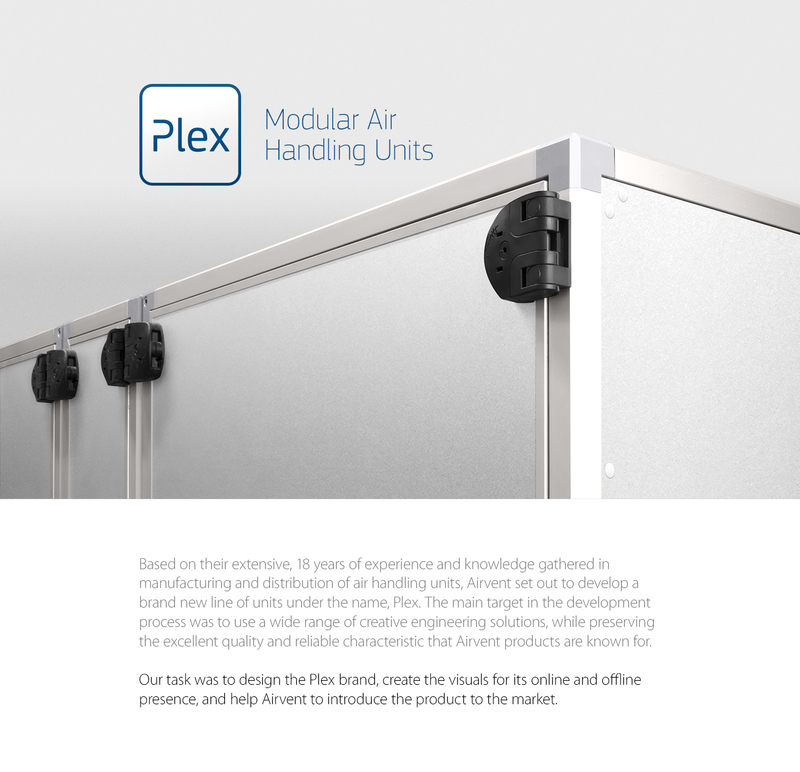 Online and offline branding for Airvent's self developed modular air handling units. 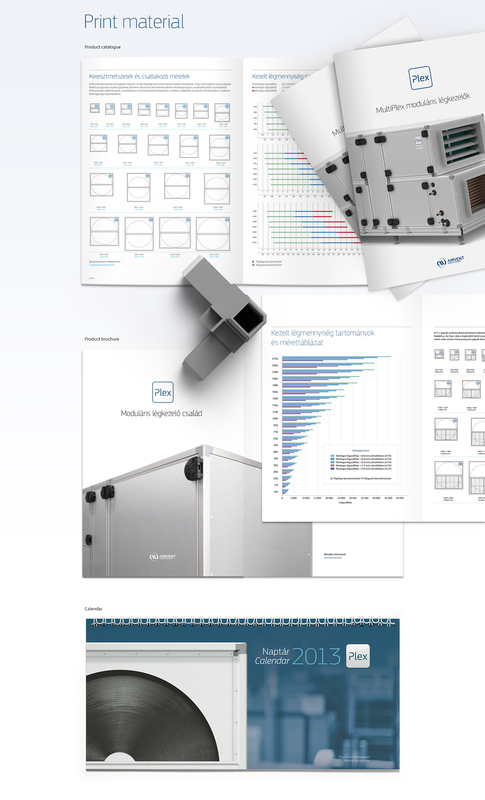 Our task was to design the Plex brand, create the visuals for its online and offline presence, and help Airvent to introduce the product to the market. 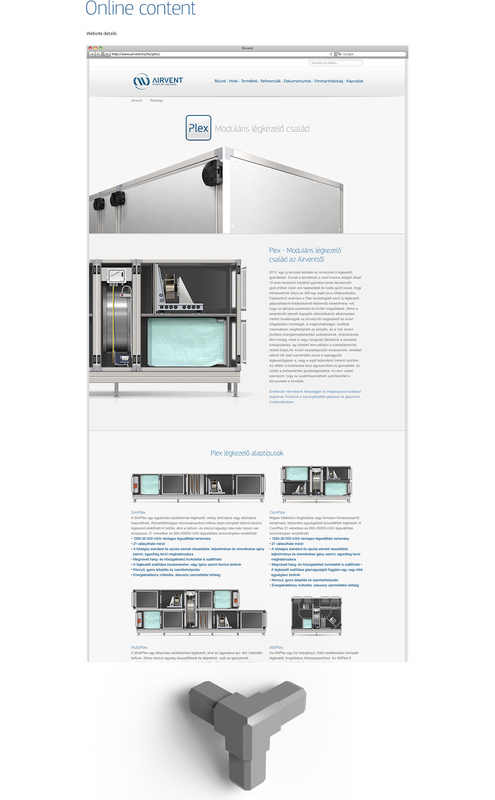 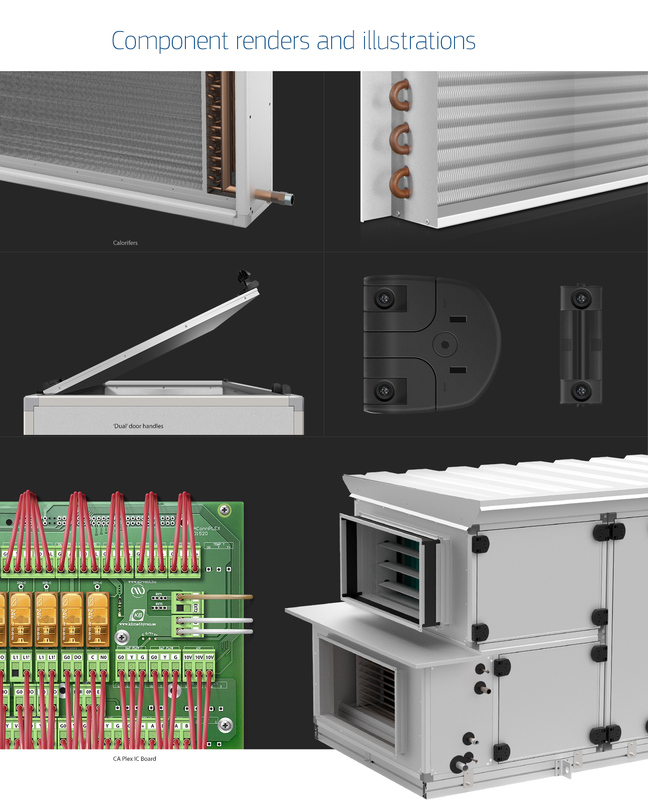 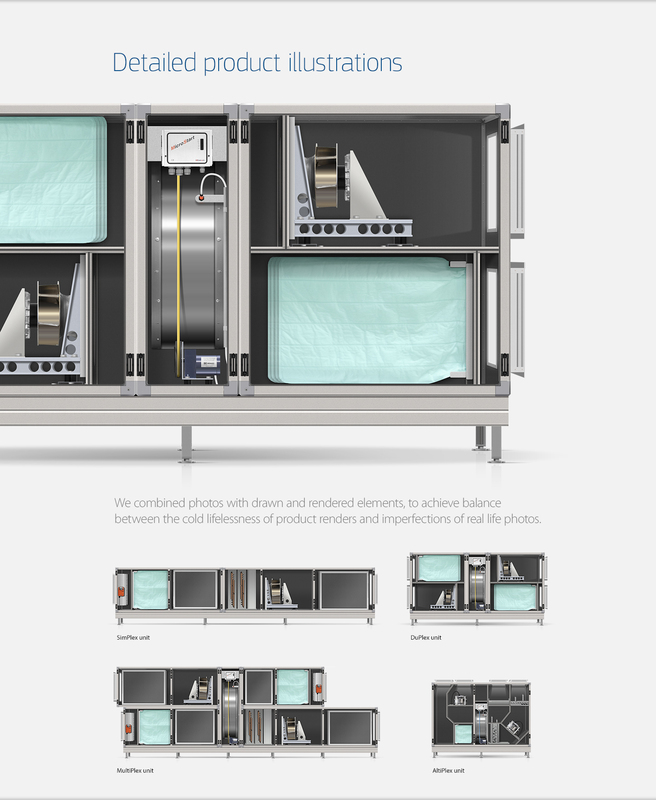 We combined photos with drawn and rendered elements, to create highly detailed product illustrations, and used those to showcase the creative engineering solutions and excellent quality of this new line of air handling units.